Perhaps police stopped you and arrested you for Los Angeles DUI last weekend, so you haven’t had a chance to contemplate the latest Hollywood tabloid stories. Or maybe you suffered an injury in a DUI crash but nevertheless still learned about actor Johnny Depp’s awkward (and possibly alcohol fueled) speech at the Hollywood Film Awards. The world famous actor — known for iconic roles like Edward Scissorhands, Jack Sparrow, and Willy Wonka from Willy Wonka and the Chocolate Factory — has always been known for his eccentricities. But in his speech at the HFA, he left even his fans and admirers scratching their heads. We’re going to take a closer look at what happened with Depp (or what allegedly happened) and use that as a jumping off point to discuss an often poorly understood ramification of Los Angeles DUI law. Depp had been invited to introduce an award for a veteran record producer, but he could not get through his prepared speech without mumbling, stuttering, starting and stopping, and even cursing a few times for good measure. About 75 seconds into the speech, the network cut him off and went to commercial. 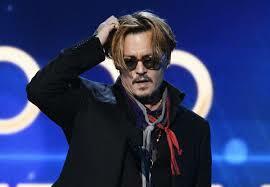 Whether Depp had consumed alcohol or drugs or had gotten sick is anyone’s guess. However, the takeaway that we want to emphasize is that even famous, wealthy, articulate and smart people can often find themselves suddenly in deep trouble as a result of a single night’s alcohol or drug fueled mistake. Depp’s public gaffe obviously will not have legal ramifications, since he didn’t hurt anybody, although it could slightly injure his brand with the public. But a driver who has one too many drinks and then gets behind the wheel and hurts someone can suddenly face an onslaught of unexpected and unwelcomed challenges, ranging from potential driver’s license suspension to mandatory jail time to forced alcohol education classes and so on. To put the puzzle pieces of your case together, call an experienced and highly qualified Los Angeles DUI defense lawyer with the Kraut Law Group. Michael Kraut is widely respected as a DUI news commentator, and he has been quoted by the New York Times, the Los Angeles Times, Good Morning America, and other respected media sources for his opinion about DUI matters.